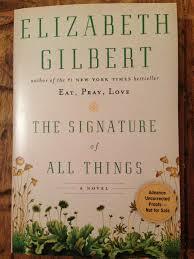 A few years ago I read a marvelous book: “The Signature of All Things” by Elizabeth Gilbert. I was so impressed with it, I wrote about it on my former blog. One image in this book struck me. The main character Alma’s father was an international trader and ship’s captain. He enjoyed inviting interesting people from around the world to share his dining room table in Philadelphia. I loved the idea of this. I see the same in our new home in the foothills of southern Colorado. Granted, rural Colorado is not the same as Philadelphia, but I enjoy meeting others and learning about their lives. I don’t really know how to make this happen, besides inviting my friends from elsewhere. If you know a good way to make this happen, please let me know. ← What a great place to wake-up! Great Kathy! So looking forward to meeting you and Thom! I feel we have a lot in common “on paper.” Even if just for a couple of hours, we’d love to welcome you. We’re about 2.5 hours south of Denver. We have new neighbors who want to meet folks, and they plan to host an open house and have us invite some of our local friends for them to meet. It’ll be interesting to see how it goes. Sounds like a great idea to me! Please let me know when it is Mary Anne!